Copa America is starting from June 14 in Brazil. Here are the full details of the mega event in South America. Group A: Brazil, Bolivia, Peru, Venezuela. Group C: Chile, Ecuador, Japan, Uruguay. Opening Ceremony: 14th June at Estádio do Morumbi in São Paulo. Closing Ceremony: 7th July at Estádio do Maracanã in Rio de Janeiro. 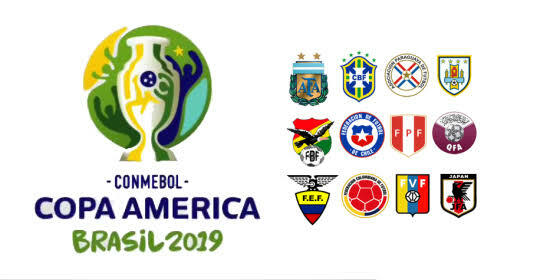 This entry was posted in Copa America Special and tagged Copa America 2019, Copa America 2019 all details, Copa America 2019 dates, Copa America 2019 ever details, Copa America 2019 host, Copa America 2019 Venues. Bookmark the permalink.